Sterling silver. 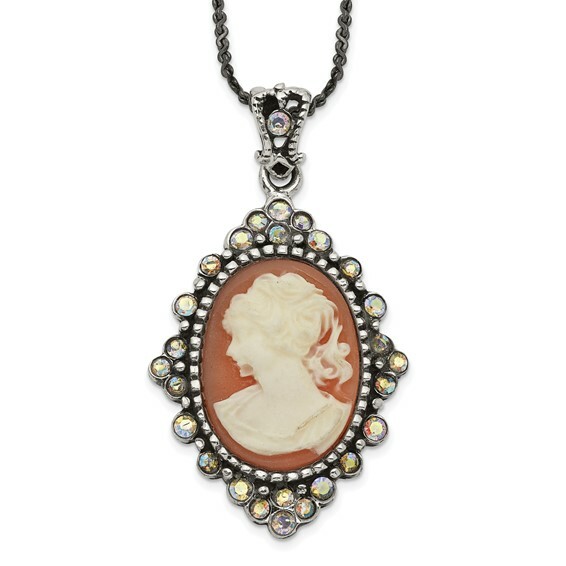 Plastic cameo with crystals and matching sterling silver 16in chain and spring ring clasp. Weight: 6 grams. Cameo measures 1 inch tall by 3/4 inch wide without bail. Imported.